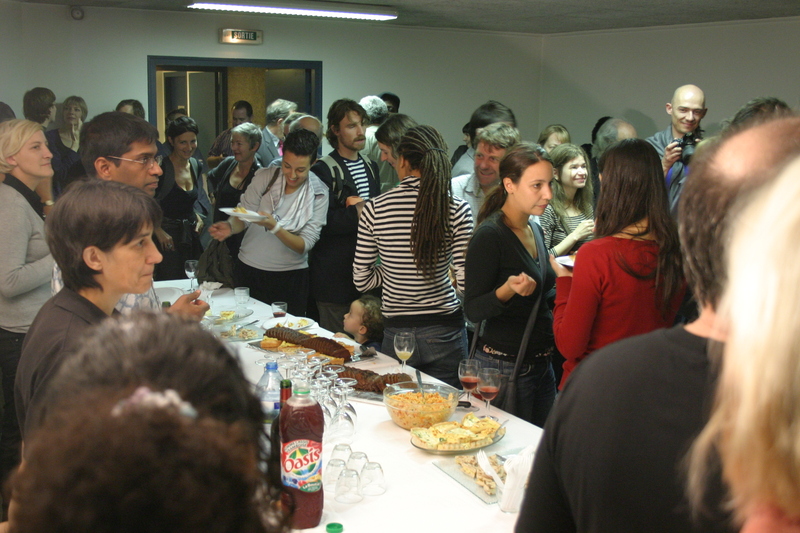 On Friday all the residents of the cite were invited by the administration to a “getting to know one another” party. There i met one of the other south africans, Rikus Ferreira, from Cape Town. The groups seemed to be formed between the different languages, Not to many are fluent in French. I include 2 photos, we were invited to participate in the making of a “sculpture” by assembling different parts of dolls, lots of fun, as you can see, and it certainly broke the ice. Today i felt like a nice long walk, and saw the date of a show on at the Opera bastille – IT WAS THE 9TH!!!!! Lieze’s birthday, which i thought would be tomorrow. Only one weekand i am already fuzzed-up. Will have to make a plan. I walked along a promenade that utilizes an old raised railway line. 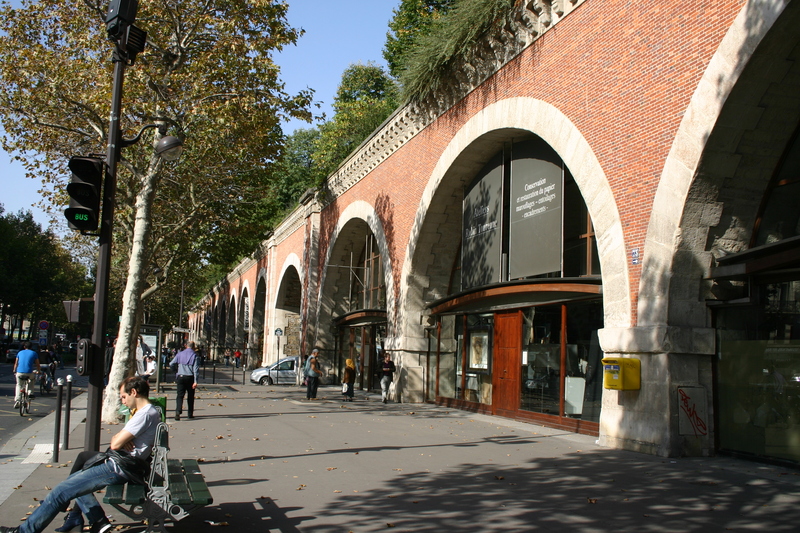 in the arches are the studios and workshops of artisanes – furniture, jewelry, etc. and overhead the walkway beautifully planted with flowers and shrubs. A beautiful, sunny day, everybody out and about.